The upscale New York eatery Tao put the tables and chairs away for a night of dancing recently, with some help from one of the top DJs in the world, Tiësto. Co-sponsored by Rolling Stone and Cover Girl, the fashionista-heavy party to celebrate the magazine’s new Top 25 DJs list was a rare small-room engagement for the Dutch EDM giant, whose previous gigs include spinning at the opening ceremony of the 2004 Olympics. Nevertheless, he was clearly happy to be playing to a crowd he could watch respond in a more one-to-one manner than he’s used to – even if the crowd was clearly there to socialize as much as dance. But he varied things a bit, too. 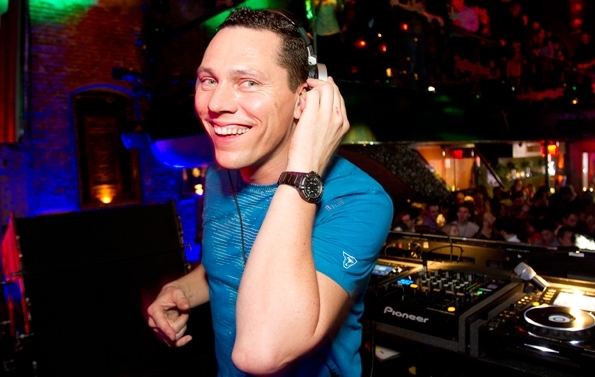 “I always have one or two tracks up my sleeve that people are like, 'Wow, I never thought Tiësto would play that track,'” the DJ explained. 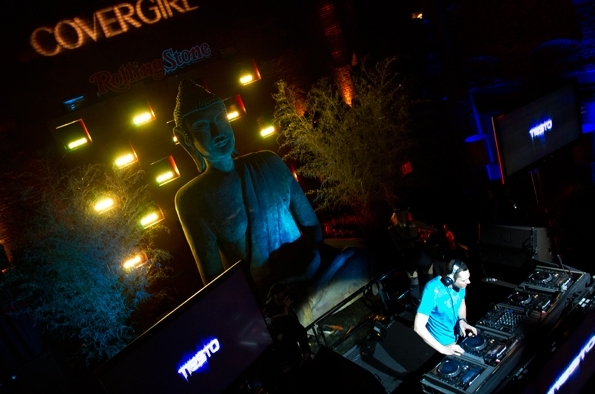 At Tao, that track was Nightcrawlers’ 1995 house favorite “Push the Feeling On (MK Dub Revisited Mix),” a record far more heavily syncopated than Tiësto’s usual, which he dropped about 40 minutes into the set. By comparison, throwing on Eurythmics’ “Sweet Dreams (Are Made of This)” a couple of selections earlier was a gimme.